The Happiest Days Of My Life. - a Memory of Caister-on-Sea. I have the fondest memories of Caister on Sea. We used to have a week there every year and my sister and I were the only kids in our street that had a holiday every year. Like most people in the east end of London, we had very little money but my dad worked on the railway and got travel concessions as part of his employment package. 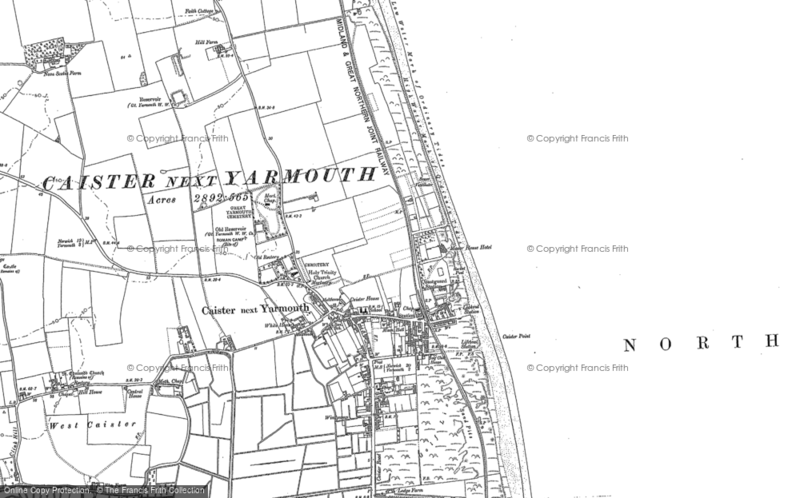 This enabled us to travel by train to Yarmouth Vauxhall and then get the train to Caister (all pre Beeching of course) and then we would walk to our caravan site. It was called The Grasmere Caravan Camp, situated in a little side road opposite the town hall called Bultitudes Loke. I can still feel the excitement as we walked down Bultitudes Loke, wondering what our caravan would be like this year. It seemed that the sun always shone and we would spend every day on the beach. We would go into Gt Yarmouth one night and go to the pleasure Beach which was the highlight of the holiday. Another night we would go and watch the speedway at Yarmouth Stadium and can still smell the Castrol R oil, that the bikes burnt and also the black face from the cinder track. At the end of each day we would finish up at the Ship pub at the top of Beach Road which had a large shed where all the families with youngsters could sit and enjoy a pint and fish and chips from " Georges " fish shop, opposite. The week's holiday was always in August and we did it every year from 1956 until 1964 when I left school. It wasn't until years after and had my own family, that I realised just how lucky my sister and I were to have had such fabulous parents. The happiest days of my life indeed. A memory shared by Christopher Bowers on Feb 12th, 2014. Send Christopher Bowers a message.